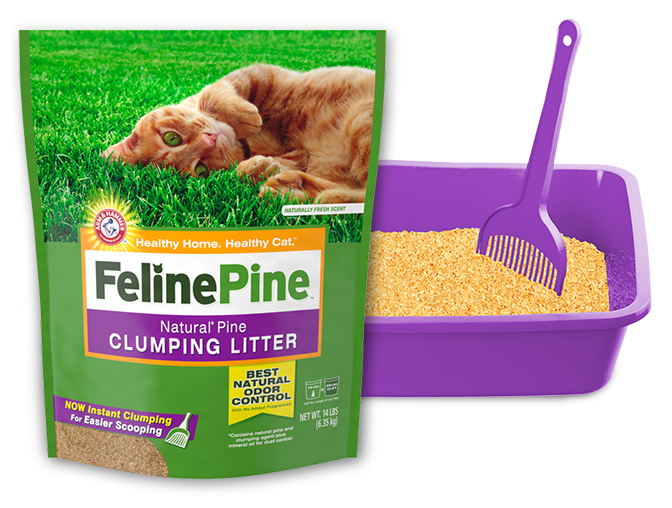 Feline Pine™ Litter, Clumping is rated 3.6 out of 5 by 73. Rated 1 out of 5 by NotThrilled from The worst, stick to the original, the best Grabbed a bag of the clumping kind not realizing it was not the original which I love love love. Tried the clumping for one time it was horrible. Tracked bits of pine in my bed with my cat would jump on it and all over the furniture. Why are you doing this? It's like you're deliberately trying to make a product deliberately worse than the excellent original that you have. Please don't ever get rid of the original formula with the pellets. That is the best product on earth for cat litter. But this clumping stuff if I could give it zero stars I would. Rated 4 out of 5 by Tracey79 from Fresh and Clean I have been using the Feline Pine Pellets and was unsure I wanted to use the clumping litter. I decided to give it a try, though, and overall I find it quite easy to use and really like how fresh and clean the litter stays after cleaning out the clumps and solid waste. I found that the clumping loses it's "power" after a few uses-clumps break apart a little more easily- and my cat makes a mess of the litter around the box. Otherwise, I'm pleasantly surprised how easy it is to clean out the litter box and how fresh the litter stays and how light the product is. 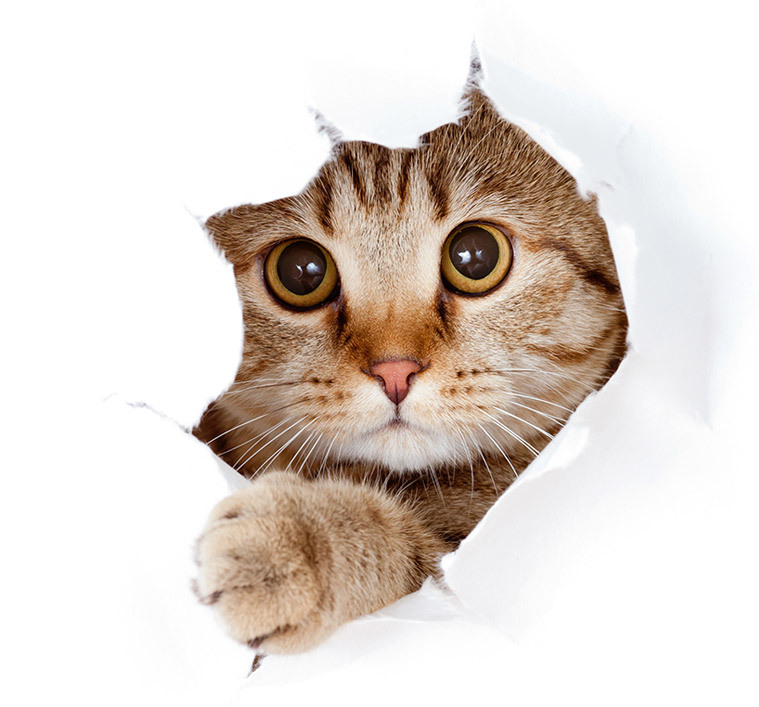 Except for the mess around the litter box, I would consider switching from pellets to the clumping litter. Rated 4 out of 5 by heathers78 from Lighter clumping I have been using this litter for a couple of weeks now along with our usual clay in its own litter box. My cats are clay litter users and have only used the Feline Pine a couple of times and are now only using their usual clay, so my review will be a little limited. What I can say is when I did scoop the wet it was very easy to remove. It clumped into a light ball and cleanly came out and into the trash. So comparing it to clay, this would be of benefit for someone has a hard time carrying the weight of the clay because it is so much lighter. The box still does not have an odor. Rated 1 out of 5 by Sengesmom from Stinky and doesn't clump I bought this as a replacement for that expensive corn litter. I have 4 cats but none of them are "diggers", yet the product does not clump as it says it's supposed to. I end up wasting litter. And to top it off, if even a little wet litter remains, it smells so bad of ammonia, I thought one of the cats had gone where it shouldn't! I might as well use the sawdust from my husband's workshop, at least that's free! This stuff is horrible. Rated 4 out of 5 by Tinkytinks from Good natural product I am the owner of two Sphynx hairless cats. Feline Pine clumping litter was recommended by the breeder for me to use because it is a natural product. For that reason alone it is a great litter. I don't have to worry about harsh chemicals coming in contact with my cats skin. The product smells like fresh cut wood which is wonderful compared to the perfume smell of other litters. The litter does clump up when soiled but the clumping action could be stronger so the clumps don't fall apart when you try to scoop them out. 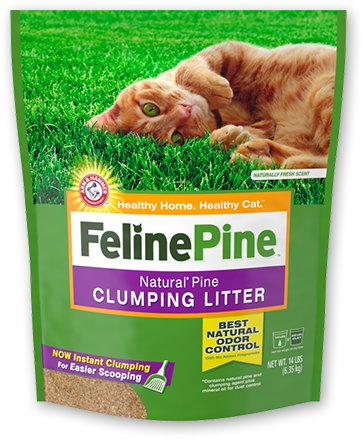 Overall, I think this is the best natural clumping litter out there. Rated 1 out of 5 by Amy123 from Not what I expected I have been using Feline Pine pellet for years, and I love that they are a healthier, greener alternative for my cats. When I had the opportunity to try the clumping litter, I was really excited, as that's the only downside to the pellets. First off, clumping is a little deceiving. Yes, the litter "clumps" when urinated on, but it doesn't harden for easy removal. I scoop my cat box multiple times a day, and odor from the cat box is not usually a problem for us. This litter doesn't control odor at all. It smelled terrible even freshly scooped with a clean layer added. Last, but not least, it got tracked all over the house. I have a litter mat, and two rugs surrounding my cat box. This litter still found it's way to every room of the house. Needless to say, this product was quite disappointing. Rated 5 out of 5 by BoosMom from Excellent product! One of my friends recommended this product. I was frustrated with the small "balls" and overwhelming smell of traditional litter. FelinePine has a natural scent that is not overwhelming nor does it have a chemical smell. It clumps well for easy clean up. I no longer have small litter balls throughout the house anymore. This litter stays contained to the box and any that escapes is soft and easy to vacuum up. Great product, I'll continue using this as my go to brand. 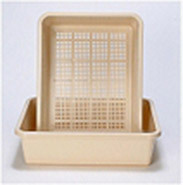 Rated 5 out of 5 by janet from Very clean and easy to use I bought a 14 lb. bag over 2 months ago for my 2 cats and I just used the last of the bag today. I now have rescued 2 more cats so am going shopping to get a bag. What I like about it is, it scoops up without litter falling all over. The other types of scoopable leaves a lot of wet in the box. This cleans it all up and there is absolutely never a smell except for the pine. Love it! !